As I was driving around over the weekend, I couldn’t help but notice how many Greek license plate frames I saw! I suppose it should come as no surprise, Greek license plate frames are a staple item. They are timeless and perfect for current and alumni members. 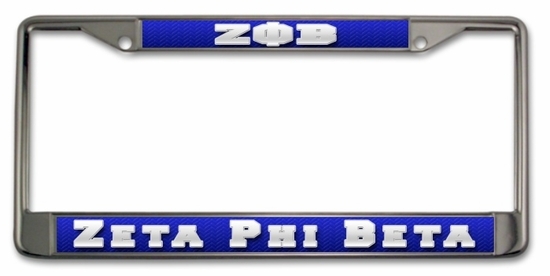 Whether you are driving around campus and want to display your letters, or you have already graduated and want to keep your letters near and dear, license plate frames are a great way to go. 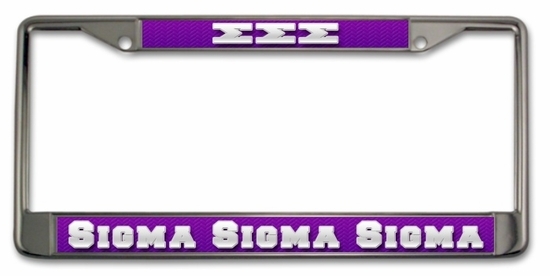 Greekgear.com offers a variety of different Greek License plate frames, some are even customizable! You can choose your organization or design your own! Whichever you choose, you are sure to end up with a stylish, quality product for your set of wheels! ← Friday Fun Facts- Celebrity Greeks Part 2!